For more information on this state park Click Here. This group of trails leads from the end of Clarkhurst Road leads past old foundations to a broad, grassy, Connecticut River tidal flat. 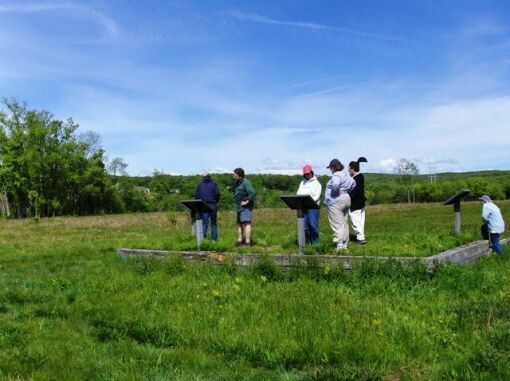 Interpretive signs assist the visitor in the interpretation of the foundations of the estate on the landscape. Rock cliffs offer scenic views to the west and south. Great location for cross country skiing. Parking – Park on gravel on left side of Clarkhurst road. Enter the park on foot by crossing the abandoned bridge that is blocked by cement barriers. Follow the old paved road downhill into the park property.